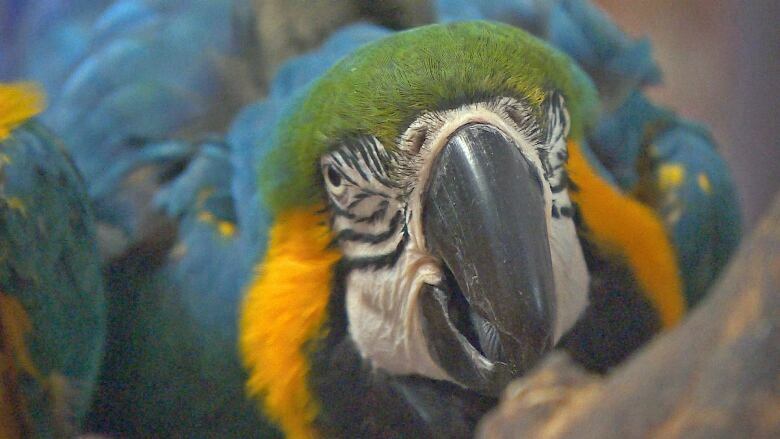 There's been a 'huge' public response to plight of hundreds of exotic birds at a Vancouver Island parrot refuge that's run out of money, says a volunteer helping with the rescue process. 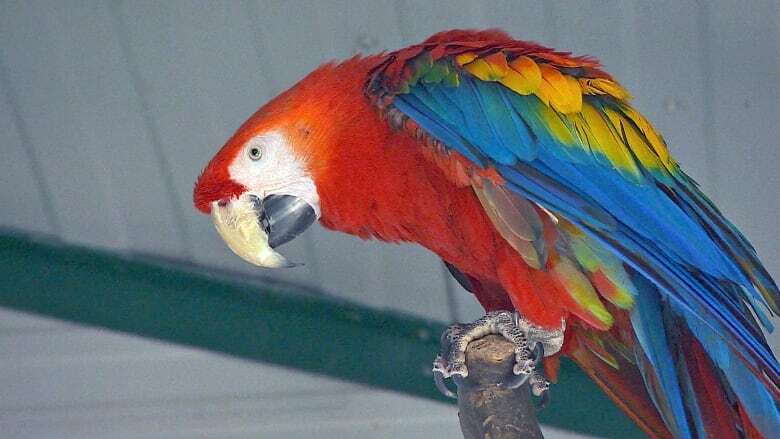 There's been a "huge" public response to the plight of hundreds of exotic birds at a Vancouver Island parrot refuge that's run out of money, says a volunteer helping with the rescue process. 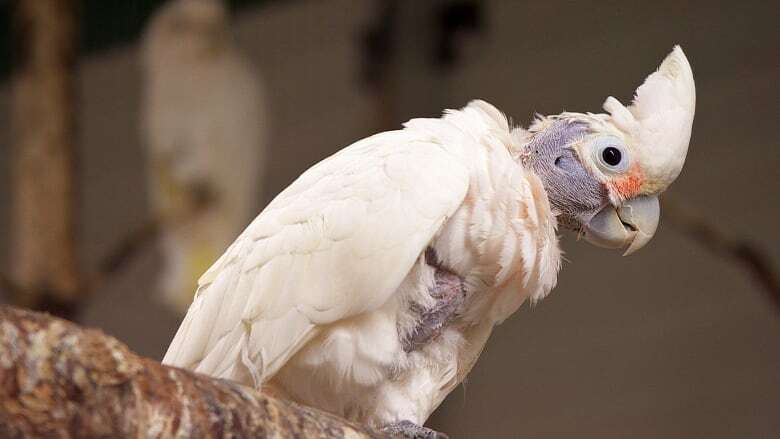 "So far, we're having a challenge dealing with all the offers," said John Creviston, a former Calgary zookeeper and a volunteer at the Greyhaven Bird Sanctuary in Vancouver. 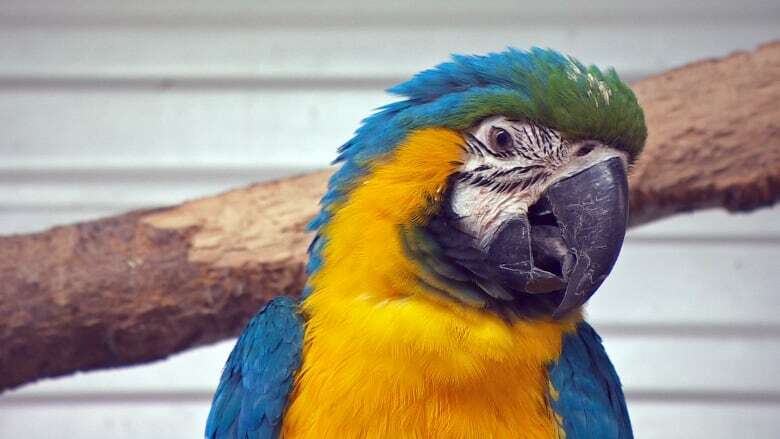 Greyhaven has stepped in to try to raise money and find homes for the birds at the World Parrot Refuge in Coombs, B.C. 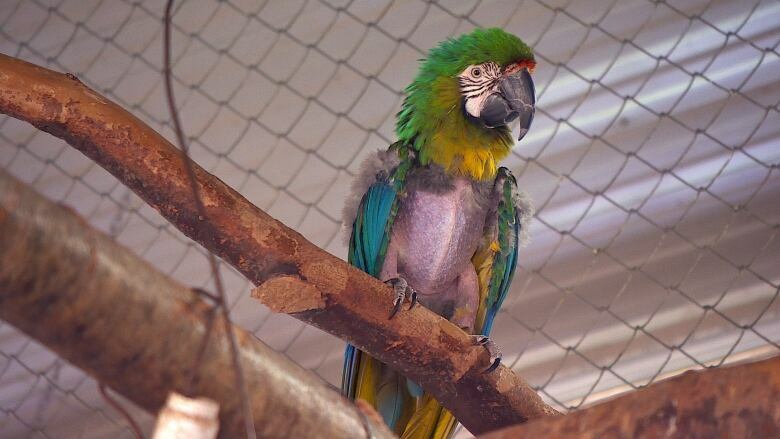 Creviston characterized the situation at the refuge as a 'parrot disaster', with up to 600 abandoned or surrendered birds suddenly in need of new homes. The owner of the refuge, Wendy Huntbatch, died in February without a succession plan for the facility or leaving enough money to keep it operating. 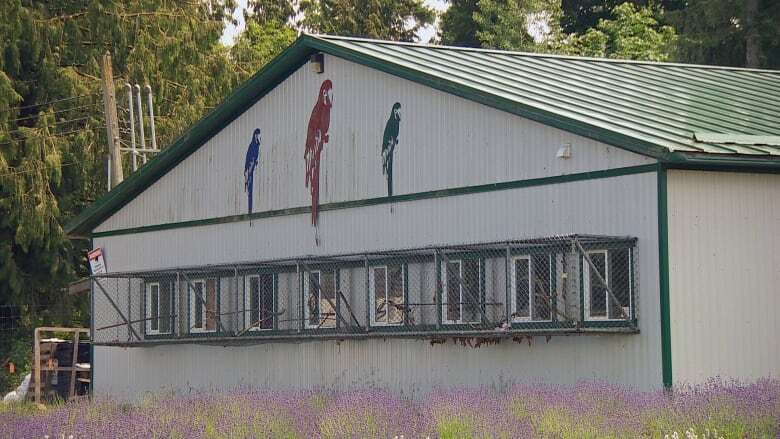 On Friday, CBC News reported the landlord, who is Huntbatch's widower, has given the facility until August 1 to wind up operations and find new homes for the birds. 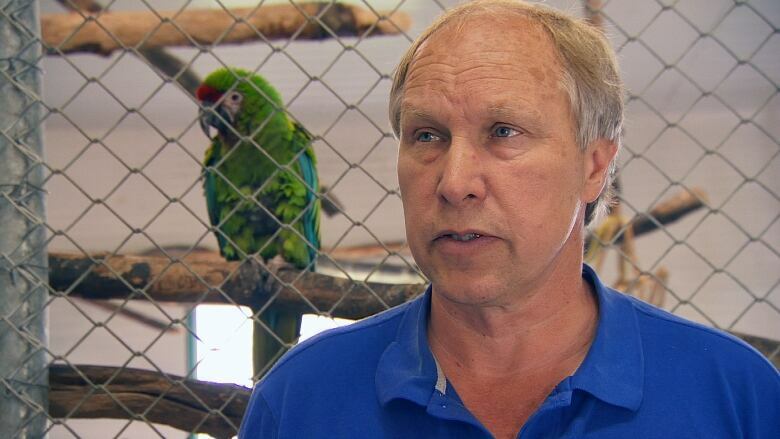 Overwhelmed by the sheer number of birds and a tiny budget to pay staff to care for them, Creviston says many of the parrots are stressed. 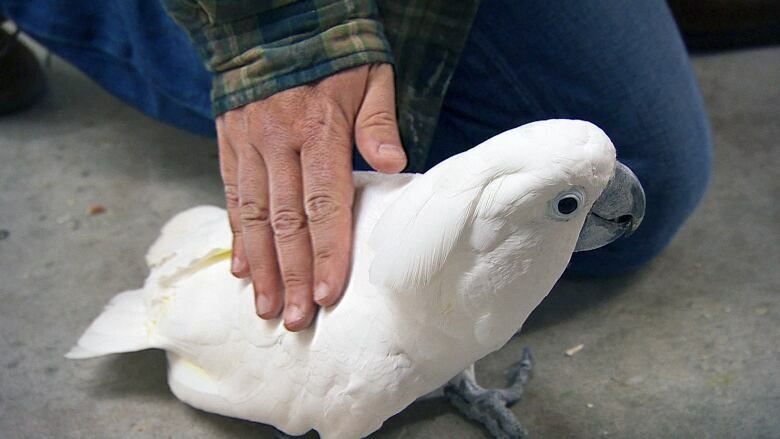 Some may have been treated poorly even before they arrived at the refuge and have issues with self-mutilation, but Creviston says even those birds may yet find homes. 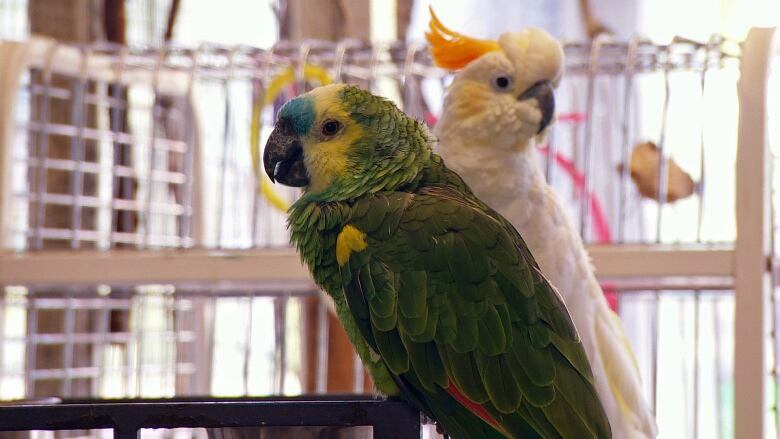 "There are a number of people with experience who are prepared to take the stressed birds," said Creviston, who's meeting with the SPCA in Vancouver today to try to sort out the logistics of the mass adoption. 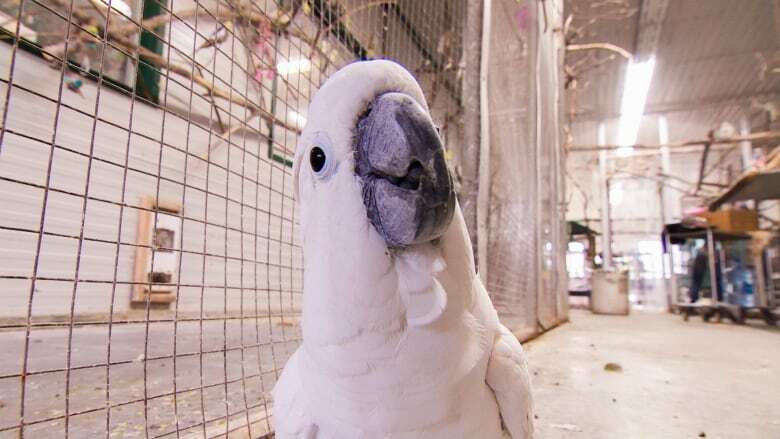 He said anyone who wants to donate money or adopt a bird can email WPRbirds@greyhaven.bc.ca and put the words 'adopt' or 'donate' in the subject line.